Orally - The oral preparations of Ginkgo biloba (Ginkgo), like ginkgo powder, can be used for Alzheimer's disease, and mixed dementia. Orally, the leaves of ginkgo can also be effective when used for vertigo, cerebral vascular insufficiency, memory loss, difficulty concentrating, dizziness, tinnitus, headache, hearing disorders and mood disturbances. Moreover, cognitive disorders secondary to depression, eye problems, heart disease, attention deficit-hyperactivity disorder (ADHD), angina pectoris, arteriosclerosis, cardiac reperfusion injury, hypercholesterolemia, filariasis and dysentery, diabetic retinopathy thrombosis, and premenstrual syndrome (PMS) are some conditions for which ginkgo powder is commonly utilized. Topically - Leaf of Ginkgo biloba is thought to be most effective when used in topical applications for lesions on the fingers, heels, toes, nose and ears caused by exposure to severe cold. Other topical use of ginkgo leaves is to treat wounds. Whereas, seeds of ginkgo are used for skin sores and scabies. Intravenously - Leave extract of ginkgo are used to boost up the cerebral blood flow, for psychiatric conditions in old aged people, to improve cognition and for metastatic colorectal cancer. For Manufacturing - Extract of ginkgo leaves is widely used in cosmetic preparations. Likely Safe - Appropriate and oral consumption of ginkgo is thought to be safe. Extract of ginkgo leaves has been used safely from several weeks to 6 years. Likely Unsafe - When the roasted seed or crude ginkgo plant is used orally. Daily usage of 10 roasted seeds can cause weak pulse, difficulty in breathing, loss of consciousness, seizures and even shock in some cases. Because of toxic ginkgolic acid constituents of raw plant parts of ginkgo, it may cause allergic reactions. Oral utilization of fresh ginkgo seed is also thought to be unsafe because these seeds are toxic and have deadly side effects in patients. Likely Safe for Infants - Ginkgo’s short term, oral and appropriate consumption is considered safe for children aged up to 6-14 years. Pregnant Women - Because of hormonal and labor-inducing effects, ginkgo is considered likely unsafe for pregnant women. Lactation - There is insufficient reliable information available to rate its safety. Therefore, breastfeeding women should not use it. The most effective parts of Ginkgo biloba are the seeds and leaves. Ginkgo leaves are generally utilized in the form of an extract. Ginkgo extract and its leaves contain a number of constituents, including terpenoids, compound of flavonoid family, and some natural acids. Usually, ginkgo leave extracts are standardized to contain 6% terpenoids and 24% -25% flavonoid glycosides. 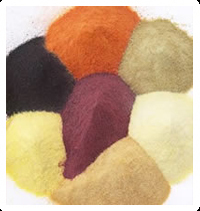 The significant flavonoids are flavonol rutin and consist of quercetin, isorhamnetin, proanthocyanidins and kaempferol. Despite the fact that the mechanism of action of ginkgo leaves is not completely known, there are number of hypotheses about how it may work in different conditions and diseases. One hypothesis is that ginkgo leaves may work by preventing tissues from oxidative harm. Ginkgo leaf flavonoids have free radical and antioxidant scavenging characteristics. The flavonoids appear to lessen oxidative harm to erythrocytes and lessen or protect cell membrane lipid peroxidation. Ginkgo's flavonoids also save retinal tissue. Protecting neurons and different tissues from oxidative harm, maybe the reason why ginkgo powder helps patients with diseases like Alzheimer’s. Central nervous system (CNS) dysfunctions, for example dementia, and other conditions like arterial disease, peripheral arterial disease, allergic issues, hypersensitivity disorders, bronchitis and asthma may abate due to the anti-inflammatory effects of ginkgo powder. What Are The Side Effects /Adverse Reactions of Ginkgo? Oral consumption of ginkgo leaves extract doesn’t cause significant side effects in ordinary doses. It can result in mild gastrointestinal (GI) upset, hypersensitive skin responses, cerebral pain, clogging and palpitations. Large amount of dosage extract can result in loose bowel movements, anxiety, spewing, queasiness, shortcoming and absence of muscle tone. Use of ginkgo powder can also significantly increase the harm of bleeding, especially in patients with liver damage. How Ginkgo Interacts With Other Herbs and Supplements? How Ginkgo Interacts With Drugs? How Ginkgo Interacts With Foods? There is no known interaction between Ginkgo biloba and various food items. How Ginkgo Interacts With Lab Tests? There is no known interaction between ginkgo powder and other lab tests. How Ginkgo Interacts With Diseases and Conditions? What Should Be the Dose/Administration of Ginkgo? Word Ginkgo biloba derived from the Chinese word Yin-Kuo, which means silver apricot and biloba also defines its fan shaped leafs. Ginkgo biloba is known as longest living tree in the world.